WILLIAMSTOWN — A lot of the bodies are different, and a gleaming, glass-front performing arts center has replaced the old stages that Jenny Gersten knew. But at the nerve center of Williamstown Theatre Festival, in the Williams College classrooms that are converted each summer into the festival’s administrative space, one olfactory element has remained decidedly familiar since she resigned from the organization seven years ago. For Gersten, it’s been a circuitous route back to this place in the Berkshires that she loves so fondly and left so unhappily. Her first summer as artistic director is her 10th at Williamstown, where from 1996 to 2004 she was associate producer, the right-hand woman to head honcho Michael Ritchie. When he left for Los Angeles, he encouraged her to apply for his job. Passed over in favor of actor Roger Rees, she exited as well, crushed. Rees lasted three years in the job, Martin likewise. When the festival approached Gersten about applying to be Martin’s replacement, she did not leap at the chance. “I have a lot of my heart here still,’’ she said. Gersten, the subject of Cromer’s appraisal, also habitually has “a really pleasant smile’’ on her face — a soothing trait he said she shares with her father, Bernard Gersten, the longtime executive producer of Lincoln Center Theater. On Wednesday, the festival will open with Cromer’s production of “A Streetcar Named Desire,’’ starring Jessica Hecht as Blanche and Sam Rockwell as Stanley on the Nikos Stage. The main stage will open June 29 with Jon Robin Baitz’s “Three Hotels,’’ starring Boston native Maura Tierney and Steven Weber. It’s directed by Tony Award-winning festival first-timer Robert Falls, artistic director of Chicago’s Goodman Theatre, who said he and Gersten worked together “producer to producer’’ when she was at the Public Theater. But it’s the 170-seat Nikos whose chemistry Gersten has altered by adding unconventional revivals of classics to the customary lineup of new plays. 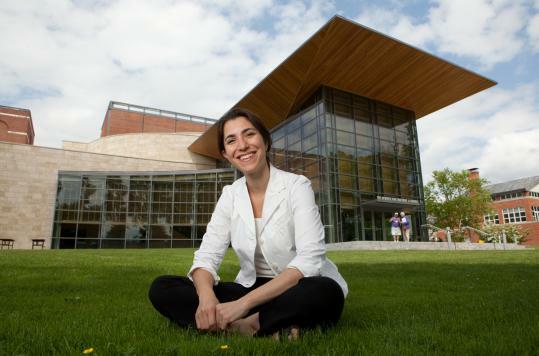 It’s an artistic decision propelled in part by what she said is her big challenge: figuring out how best to use the ’62 Center for Theatre and Dance. Designed by Boston’s William Rawn Associates, the Williams College performing arts facility opened in 2005, the year after Gersten left the festival. It took the place of the festival’s original main stage, the Adams Memorial Theatre, as well as its old Nikos Stage, a 96-seat venue that consistently sold out, Gersten said. The main stage at the ’62 Center seats 520 people, just as the old one did, and the additional capacity of the second stage seemed like an opportunity to pack a larger house. “We thought, back in 2004 when we were working here,’’ she said, “that it would be a very seamless shift’’ into the new complex. But audiences didn’t follow that script. “The Nikos Stage no longer sells out. And it’s really changed the ecosystem of the whole place. And in fact I really do believe there are some people that said, ‘I miss the old Adams Memorial Theatre,’ and they no longer come here,’’ said Gersten, whose three-year contract with the festival began in October. “I think the Williamstown Theatre Festival has suffered of late,’’ she added. “Just a little bit, not badly. But I think it’s been having some growing pains. And I don’t know that it’s anyone’s fault. I don’t point to the artistic leadership, other than the fact that they didn’t get to stay very long. And I think they had a hard time not knowing how this new theater was going to impact them. ‘Four years of other’ Being an artistic director was not in the plan Gersten made for herself when she was a child, though she knew she wanted a life in the theater. At Oberlin College, she majored in archeology and art history, and she admits there was a tiny chance she might have ended up working in a museum somewhere. But mostly, college was what she calls her “four years of other,’’ meaning something other than theater. In that, she was taking her father’s advice, which did nothing to diminish her desire to follow his career path. Applying to lead Williamstown the first time around changed her goals, however, and after she left, the New York company Naked Angels recruited her as its artistic director. Next she went to the Public Theater, where she was Oskar Eustis’s associate producer — the same job her father held for years under Public founder Joseph Papp. But this time the person calling the shots from the foxhole for Williamstown will be Gersten, who sees this moment as one from which the festival could go in any number of directions.